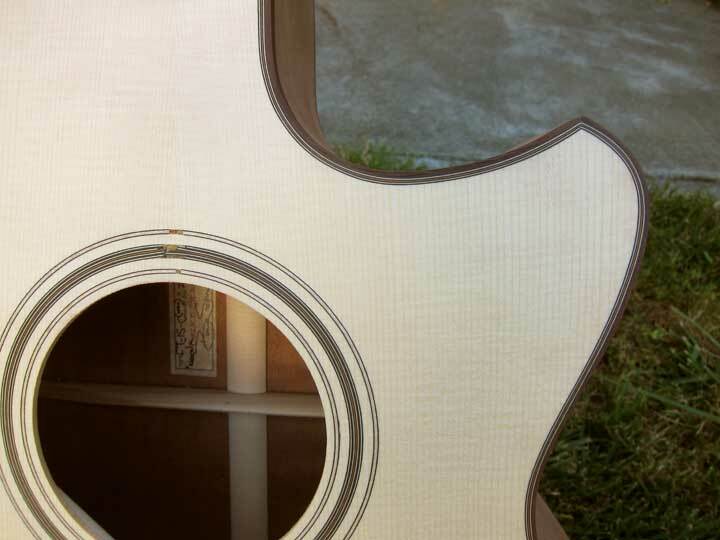 2009 Sexauer FT-15 guitar made from Figured Sapele and Italian Spruce. My ultimate compromise to solve the ongoing discussion re the superiorty of the OM over the 000 or the 000 over the OM. 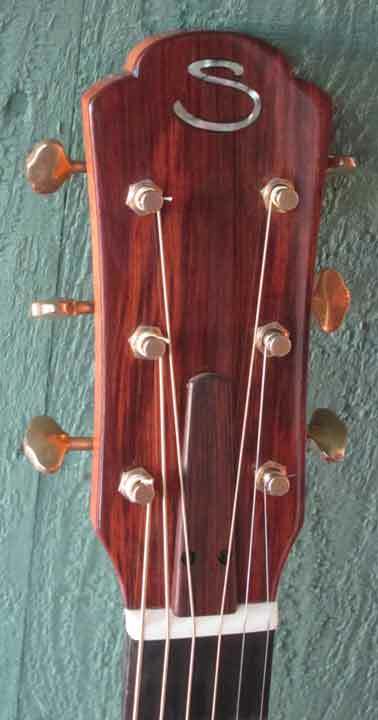 The Kerala in my 13 fret to the body concert sized guitar. 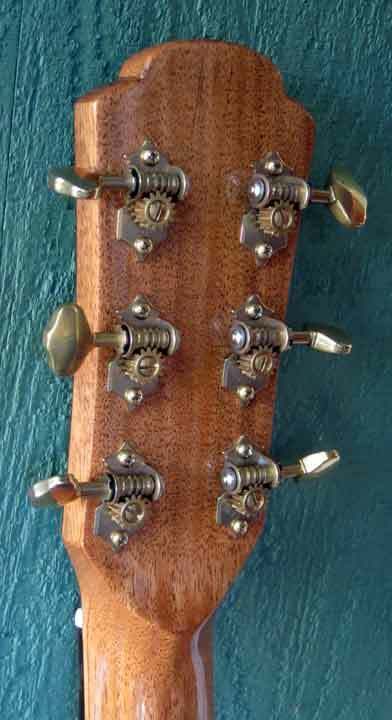 The body is longer than the OM and shorter than the 12 fret 000 and the tone is argueably more balanced than either. This particular example is short scale, ie 24.9". 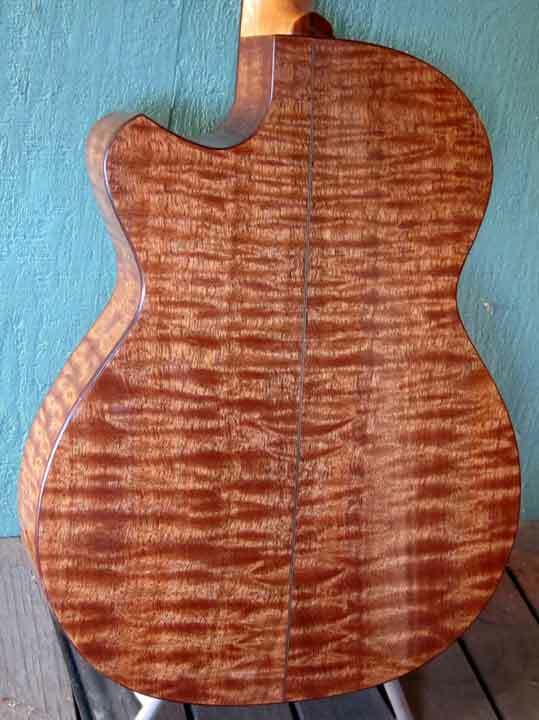 It is made from quartersawn Sapele with outrageously intense figure. 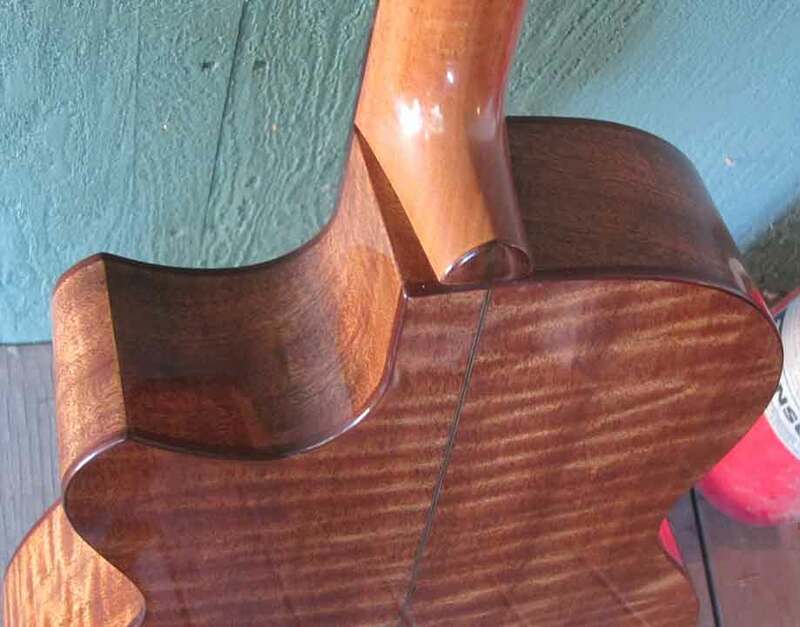 The sound is in the Mahogany vein with perhaps a little more separation and projection than one might expect due to the wood being quite hard for a Mahogany, not that Sapele actually is one.